Yes, there are many lists of “best toys and gifts for 8 year old girls” online. But we’d like to think that this one is a bit different and a bit special! You’ve stumbled across is a VERY picky list, compiled by an obsessive parent with a curious nose for originality, and very high-quality standards. It includes award-winning games, innovative gadgets, and time-tested toys that never grow old. Some play to her burgeoning social abilities, others ignite her STEM interests, while a few are downright addictive and are highly trending among tweens right now. Whoever she is and whatever she’s into, we think we’ve got her covered! Cozmo, the adorable, hilarious, and intelligent miniature robot has taken the kids toy charts by storm. He is both a cute friend and a highly sophisticated computer-driven robot. With advanced artificial intelligence, Cozmo (check price on Amazon) is able to express hundreds of emotions. He is also curious, playful, and evolves over time. Cozmo recognizes your face and is always pleased to see you. Cozmo comes with three interactive power cubes which he can pick up and move about. Connect him up to the Code Lab smartphone app and children can easily perform basic programming to make Cozmo pick up and arrange the bricks. It’s safe to say that little Cozmo has gone viral – it is quite literally true. There are loads of YouTube videos of Cozmo’s hilarious responses and adorable quirky behavior. Why She’ll Love It: Cozmo is much more than an adorable robo-friend. His sophisticated AI brain will teach her about robotics and get her hooked on programming. Is your daughter looking for an edge in the neighborhood Nerf wars? If so, this might be a good addition to her arsenal. The Rebelle Agent bow (check price on Amazon) can fire arrows, on which your little warrior can write encoded messages, up to 85 feet. This set includes three arrows, a message decoder, quiver, and bow. The bow has a battery operated site, but many parents report that it’s more for show than function. Why She’ll Love It: She will love the edgy look this bow provides, as well as its long range and ability to send secret messages to her friends. While phones are great, proper cameras are coming back with a bang. Not only do they take better pictures, but for budding photographers, the experience is more real, more focused, and more exciting when using the dedicated tool for the task. The Instax Mini 9 (check price on Amazon) produces instant prints which are super fun for parties or trips out with the girls. The macro lens adapter provides her with control over close-ups or landscapes, and the selfie-mirror allows for the perfect self-portrait. This camera is easy for young beginners but also has enough manual control that she can progress and develop her own style. Why She’ll Love It: Awesome for DIY projects, collages, scrapbooks, and decorating her bedroom with pics of all her friends and favorite memories. Whether your girl has been a die-hard Potter fan for years or she is about to be introduced to this magical world for the first time, this hardback box set is a timeless gif that will be treasured forever. Indeed, it even comes in an olde looking trunk that feels a bit like a treasure chest (check price on Amazon). All seven books are here, each beautifully bound in elegantly uniquely designed hardback covers. And just for fun, the trunk actual locks and comes with its own key. Why She’ll Love It: The ultimate Harry Potter gift for die-hard fans and noobs alike. This 3Doodler printing pen (check price on Amazon) lets eight year old girls get creative in three dimensions. It works by melting a special eco-plastic before squeezing it out the pen nib/nozzle. The plastic then cools and solidifies on contact with the air. It has been designed to be safe for kids and avoids hot surfaces. This pen will allow girls to bring their princess drawings and various other doodles to life, but comes with an activity guide should her creative juices suddenly run dry. Why She’ll Love It: The very air will become her canvas. The award-winning Yellow Scope Foundation Chemistry kit (check price on Amazon) is designed by two scientist moms. Their mission was to get girls hooked on science by showing them that it is cool and relatable to them. She’ll create a miniature science lab before getting to work on some seriously fun chemistry. The kit comes with a carefully thought-through reference book and quizzes. Why She’ll Love It: The kit will appeal to girls and does a great job of showing that science can be cool and women can rock it! This gigantic 1552 piece set comes everything needed to create a grand hotel including a bellboy trolley, suitcases, glasses, cakes, perfume bottles, tables, chairs, room key and many, many more. As with other LEGO sets, the Friends Heartlake Grand Hotel (check price on Amazon) is a great way for your girl to work on her fine-motor skills, flex her creative muscles whilst improving her ability to follow instructions. Why She’ll Love It: She’ll love building this set and will get a real kick out of creating something that will become one her favorite things to play with. Who says that boys should get all the tech?! The Sky Viper v2450GPS (check price on Amazon) is a great first drone for children. There’s no doubt that girls will love it just as much as boys. This drone is well made and has quality “firmware” which means that it flies reliably and steadily (good for small fingers and first-timers). “Position hold” means that it will stay suspended in the air in one place if you are not controlling it. It will also fly home if it goes out of range. Perfect features for younger flyers. Why She’ll Love It: The onboard camera can record and stream video back to her smartphone which can be placed in the controller. This means she can explore buildings and trees, and film dogs as it runs for cover. Pogo sticks are back, and not a moment too soon. With kids spending way too much time on screens these days, it’s a welcome relief when an active outdoor hobby starts to trend; first it was scooters and now it’s pogo sticks. This modern, well-engineered pogo stick by Flybar (check price on Amazon) is foam-covered and comes in an array of different colors. Its spring is tucked safely away inside the slender center pole yet is powerful enough that your girl can get some serious height. This is a fun way to make a quirky accent pillow. If your daughter isn’t too keen on the idea of sewing, don’t worry; there’s no needle and thread involved in this Emoji Pillow project (check price on Amazon). All she has to do is stuff the pillow and she’s ready to decorate it with the included stickers. Why She’ll Love It: Since the stickers are removable, she can change the face of her pillow to match her mood. Afterall, one can’t be expected to stick with one Emoji. Girls love their secrets, so why not teach them scientific ways to keep their messages safe from prying eyes? The Girls Only! Secret Message Lab (check price on Amazon) includes a 24-page book filled with educational information about everything from ciphers to chemistry, as well as two cases that include plenty of tools to put that knowledge to good use. By using the techniques from the book, your girl and her best friend can pass messages back and forth. Why She’ll Love It: Your daughter will love being able to send her BFF messages with no worry about prying eyes. Kano Computer Kit Touch (check price on Amazon) lets eight year old girls put together their own computer, then use it to learn to code. The number of projects she’ll be able to do on this computer are endless. She’ll learn coding to be able to put together websites, games, and much more. Not only will she be able to play her favorite games, she can change the code for them. The Kano Computer will keep her occupied for hours. Why She’ll Love It: She gets to build her own computer. A computer that will teach her coding while keeping her engaged and entertained. The Razor Berry Lux (check price on Amazon) is a great scooter for maturing girls who have grown out their kiddy 3-wheel scooter but still love to ride. For an 8-year-old who wants to look cool while kicking her way to school, then this is a great choice. This model isn’t for tricks but is perfect for urban park and sidewalk scooting. It’s large front wheel give it stability while its wide base makes it easy to mount and control. Why She’ll Love It: It’s purple, pink, and gray design will turn heads as she flies by. 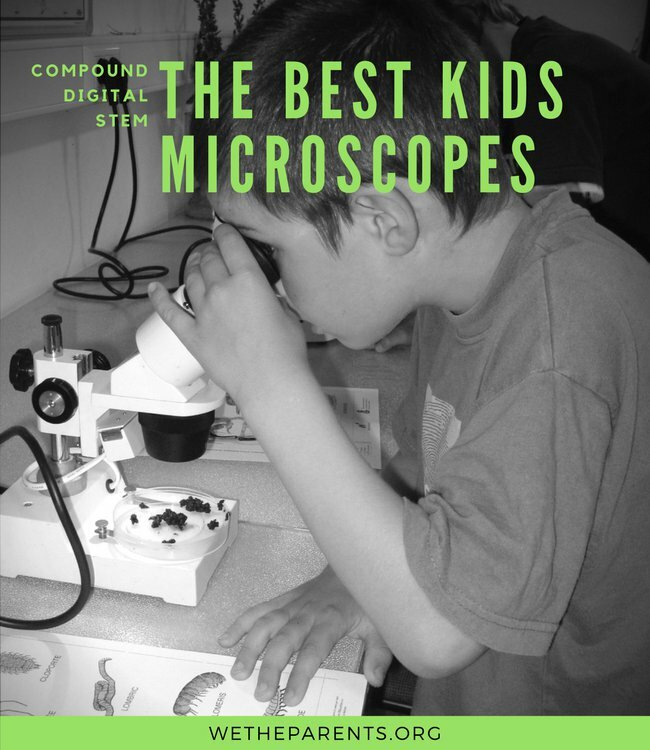 The woman who designed this excellent beginner microscope is Nancy Balter, a Yale graduating science mom with an MA in Science Education and an amazing gift for getting young children hooked on science. Nancy B’s Science Club Microscope (check price on Amazon) perfectly combines the attractive and accessible feel of a toy with the serious precision and 400x magnification of a scientific tool. If you are looking to get your girl into the sciences, this gift is a perfect way in. Why She’ll Love It: The well thought through journal and microscope activity book will get her to deep dive into the world of the minute without the need for an adult. Child-led learning at its best. The National Geographic bring geology to life with this exciting STEM project (check price on Amazon). Geodes are naturally formed crystals that are hidden away like treasures in a rock. This kit comes with 10 high-quality geodes, safety goggles, and a colorful learning guide. Give her a hammer and stand back as she smashes her way into her earth formed treasure! Why She’ll Love It: Once she’s broken open her geodes, she can display them in her room – educational and gorgeous! This trending plush toy will incite shreaks of delight upon unwrapping, and it’s easy to see why; Pomsies (check price on Amazon) are adorable, fluffy plush toys with the cutest eyes ever! As well as cuddly, they are also clever and respond to touch. Your 8-year-old girl will love stroking and pretend-feeding this Pomsie. When she does, her Pomsie’s eyes will change color to reflect its mood and it makes over 50 cute sounds. Why She’ll Love It: She can take her Pomsie wherever she goes. It has a smart twist and lock tail which makes it great for accessorizing her backpack or even her wrist. She’s at an age when she is becoming more self-aware. You’ll be amazed at how she develops opinions about a wide variety of topics, and also comes to decide on what she likes and dislikes. You’ll see her naturally picking up hobbies and growing interests and passions. Can misjudge her own abilities which may lead to accidents. Can do basic multiplication and fractions. Your 8 year old girl is truly growing into a personality all of her own. She is becoming ever-more capable and sophisticated, both cognitively and physically. We’ve carefully chosen toys that are hugely fun whilst also challenging her abilities. Let us know how she gets on with them!